From Left: Sultan of Sokoto and Chancellor University of Ibadan, Nigeria's Vice President and representative of Visitor, Professor Yemi Osinbajo, Governor of Oyo State, Senator Abiola Ajimobi, former Head of State, General Yakubu Gowon, and Vice Chancellor Professor Abel Olayinka, during the 70th Foundation Anniversary/Convocation Ceremony of University Ibadan, Ibadan, Oyo State, on Saturday November 17, 2018. While urging the university to remain relevant to the needs of the society it serves, the Chancellor, Sultan Sa’ad Abubakar observed that universities all over the world are designed to generate knowledge which societies could leverage on to solve their problems, adding that the review of curriculum should not lose sight of the constant need to update and ensure that knowledge generated was targeted at solving problems. 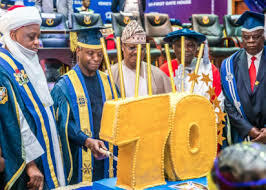 It was situation of added glamour when Nigeria’s premier university, the University of Ibadan, Ibadan, Oyo State, South West Nigeria, on Saturday November 17, 2018 celebrated its 70 years of establishment. In its 70 years of building lives and contributing to development of Nigeria and other societies of the world, the institution, which started as University College Ibadan in old Western Region, has more than tens of millions graduates now on its alumni list and who are doing well in their respective fields of endeavour in life. From Left: President, Muslim Ummah of South West Nigeria and Deputy President General (South), Nigerian Supreme Council for Islamic Affairs (NSCIA), Alhaji Sakariyau Olayiwola Babalola, former Head of State, General Yakubu Gowon, Nigeria’s Vice President, Yemi Osinbajo, and Sultan of Sokoto and President General, NSCIA, as they prepare to proceed to the convocation seats, during the 70th Foundation Anniversary/Convocation Ceremony of the University of Ibadan, Ibadan, Nigeria, on Saturday November 17, 2018. As usual, Chancellor of the University of Ibadan, His Eminence Alhaji Muhammad Sa’ad Abubakar, Sultan of Sokoto and President General of the Nigerian Supreme Council for Islamic Affairs (NSCIA), accompanied to the International Conference Centre of the university by his Deputy President General (South), Alhaji Sakariyau Olayiwola Babalola, President Association of Nigeria (CAN) President Samson Ayokunle and a host of others, was on ground to perform his role declaring open the convocation, admitting graduands – academics and honouri consal – into the awards of their certificates and led the cutting of the anniversary cake. President Muhammadu Buhari, Visitor to the university on the occasion of its celetration of life, was among other prominent Nigerians, who graced the occasion to make it a bump of candour where truths were told about everything that is called Nigeria and people celebrated and were excited at each of the programme. 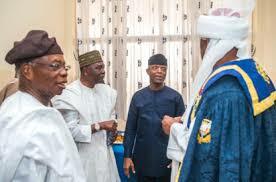 All of these personalities including the Vice President, Professor Yemi Osinbajo, who was at the august event in the capacity of president’s representative, Governor of Oyo State, former Head of State General Yakubu Gowon, Governor of Oyo State, Senator Abiola Ajimobi, Registrar, Joint Admissions and Matriculations Board (JAMB), Professor Is-haq Oloyede, at their respective times to speak, extolled the premier University of Ibadan for sustaining learning and research and for the spread of knowledge for over 70 years. President Buhari, whose speech was delivered by Vice President Osinbajo, as a Visitor of the university at its 70th Foundation Day/2018 Convocation Ceremony, re-affirmed the commitment of the Federal Government in initiating policy thrust and providing sufficient fund to advance tertiary education in the country. He agreed that public education is currently underfunded but government is committed to funding it adequately. The President, however, explained that the current budget could not fund education adequately, while advocating the need for alternative funding particularly by generating fund through alumni networking. “Our need to equip teachers and proper funding of education to prevent frequent disruption of educational calender due to strike. “We need to train our teachers adequately to ensure proper education of our children with the latest technology,” the president opined. 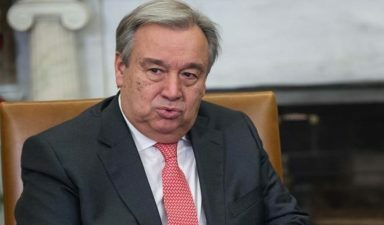 According to him, there was the need to use the technology platform to train the students, saying that in the next two years, teaching and training of teachers would be basically through technology. While speaking on the ongoing ASSU strike, the president said though the union has a point, but however, stressed the need to resolve the issue amicably with the government, agreeing that there was no doubt education was being under funded. He, then, promised that government would make concerted effort to ensure that education was being properly funded. In his remarks, the Chancellor of the University and the Sultan of Sokoto, Alhaji Muhammad Sa’ad Abubakar, announced that there have been outstanding achievements in the life of the university, adding that the achievements spread over different phases of its seventy years history and covering virtually every stratum of its activities and field of research engagements. “It is noteworthy that the development of this phase towards the future growth of the university is already being pursued with an exra-ordinary vigour even in the phase of the current economic downturn,” the Sultan said. He bemoaned the constant disruption of academic calendar, which he said, was beyond a reasonable redemption, describing it as the bane of Nigerian academic community. While delivering an address at the ceremony, the host Governor, Senator Abiola Ajimobi also stressed that government alone could not fund education, even as he advocated for a national committee to be set up to design models of alternative funding for public tertiary institutions I’m the country. He noted that over N2 trillion per annum for university are not sufficient enough for university education, adding that government did not have enough fund to sponsor tertiary institution or to single handedly fund tertiary education in Nigeria. Ajimobi then said that celebrating 70 years of academic research was not only befitting, adding that the university has come off age, considering the quality of its products. 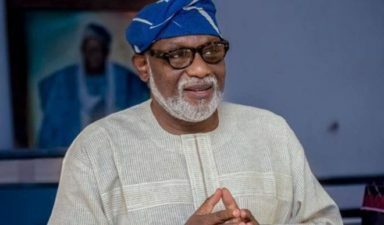 Earlier in his address, the university’s Vice-Chancellor, Prof. Idowu Olayinka disclosed that a total of 7,608 candidates received first degrees and 134 received diplomas in various disciplines, while a total of of 4,446 candidates received their master degree certificates from the institutions 13 faculties, 8 institutes and Centers, adding that the figure comprised of 30 for the M. Phil, 223 for the masters in public health, 3,618 academic master degrees, 432 Professional Degrees of Master and 163 post graduate diplomas. 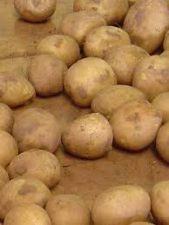 However, six distinguished Nigerians were conferred with honorary doctorate degrees, while a total of three hundred and seventy one candidates across twelve faculties bagged the Doctor of Philosophy degree. A former Head of State, General Yakubu Gowon (Rtd), among other dignitaries were at the ceremony.